It is hard to believe that we are nearly at the end of Term One! The Junior School has been a hive of activity and the children should be congratulated on their commitment to their studies and to the enthusiastic manner in which they have taken on new challenges. 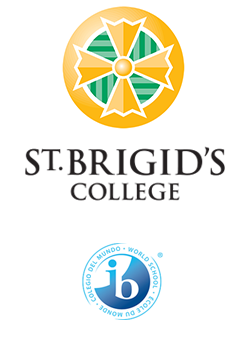 Interviews for students in Years 2-6 will be held in the bIBliotech, while Pre Kindy, Kindy, Pre Primary and Year 1 interviews will take place in your child’s classrooms. The interview portal will close at 9:00am on Monday 8th April. As we head towards the end of the term, it is important to reflect on the Season of Lent, a special time of the church year when we focus on our own spiritual growth and the three pillars of Lent; Prayer, Fasting and Almsgiving. 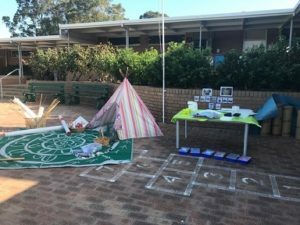 The children celebrated the beginning of Lent by attending Ash Wednesday Liturgies and gathered together in prayer and song to reflect on how they can become closer to God and what they can do to help others. 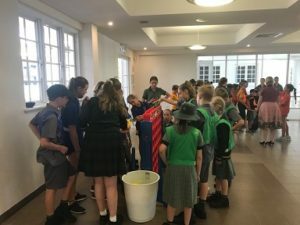 Each year in Junior School, we make a commitment to help fundraise for Caritas, donating to collection boxes and bringing in Easter egg donations to prepare our Easter Raffles for the children. I would like to take this opportunity to thank you for the generous donations and there is still time to donate. 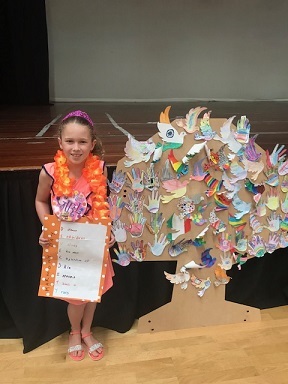 Please bring your Easter Raffle donations to Student Reception so we can create amazing prizes and put a smile on the face of not only the raffle winners, but all the children around the world who we are able to help through our Caritas fundraising. 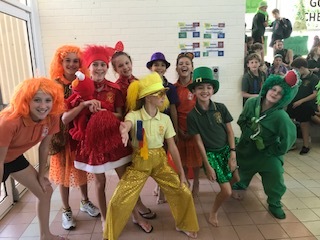 On the 12th March Years 3-6 enthusiastically participated in the Junior School Swimming Carnival. I would like to thank all the staff involved in the organisation and running of the event, in particular Bianca Openshaw. A special thank you also to the parent helpers, who worked tirelessly throughout the day to ensure the carnival run smoothly. This year the children (and staff), were treated to a selection of delicious fruit to help keep the energy levels up. Thank you to the Parent Forum for supporting this wonderful initiative. Judging by the children’s cheers, the day was a great success and definitely enjoyed by everyone! 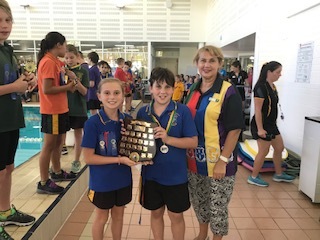 Congratulations to McAuley House for receiving overall first place and best wishes to the students who will be competing in the CPSSA Swimming Carnival next term. I would like to extend a very big thank you to those parents who have put their name forward as Parent Representatives for this year. We are truly blessed to be part of such a generous College community. If you wish to receive email communication, please ensure that you have passed on your contact details to your parent representative. Information on accessing the Parent Portal to utilize the Parent’s Contact Tab, has been sent out to all Junior School families and may be of assistance. The first College House Assemblies for the year were held. 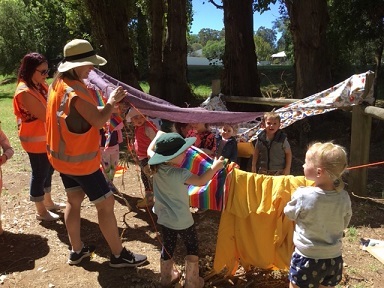 The children proudly wore their House shirts and joined together to have some fun with their fellow House members. 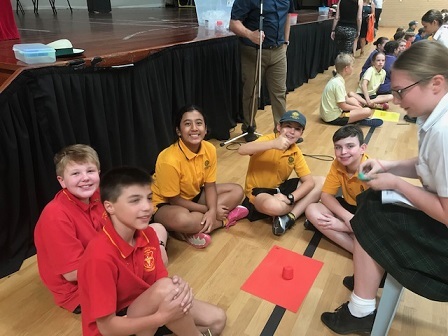 Congratulations to the Year 6 House Leaders who took on an active role in supporting and leading their peers. Students in the Junior School have also thoroughly enjoyed participating in events such as Sculpt it and Family Feud. 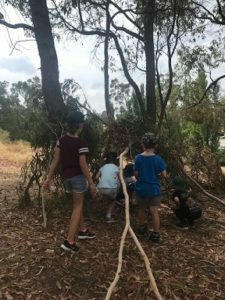 More exciting events will be held in Term 2. 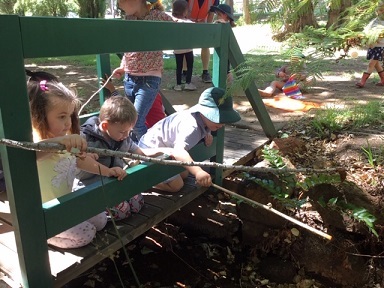 Students in the Early Years have embarked on Bush School, an engaging program that is based on the principle of ‘learning by doing’ and supports the students make connections with the magnificent natural environment that St Brigid’s has to offer. The students engage with nature and natural materials to develop attributes such as; problem solving, resilience, creativity, communication skills as well as strengthen their understanding of sustainability. 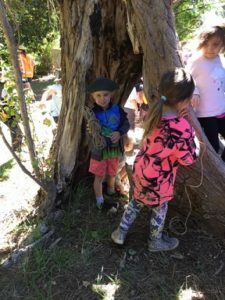 A wonderful opportunity for the students to get dirty, be creative, have fun and explore! 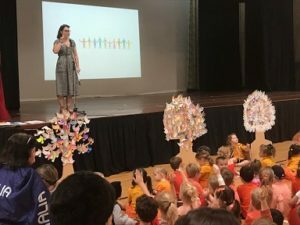 On the 21st March Harmony Day was celebrated in the Junior School. This is a day of promoting cultural diversity, inclusiveness and respect for all Australians. Harmony Day highlights many characteristics that we value at St Brigid’s including fostering a sense of belonging which was the theme for this year. 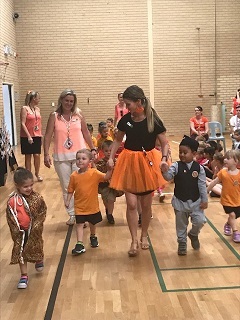 The students were invited to wear clothing that represented either their cultural heritage or orange in colour. Traditionally orange relates to the freedom of ideas. Thank you to Larissa Elms for coordinating and leading the Harmony Day Assembly. The Year 6 Learning, Arts, Sport, Ministry, and Sustainability leaders joined a number of Year 11 leaders at the Young Leaders Day Conference on the 25th March. 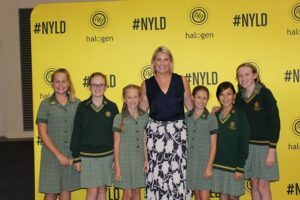 The students were lucky enough to listen to motivating guest speakers such as Matt Cosgrove (author and illustrator), Liesel Jones (Olympic swimmer) and Akram Azimi an Afghanistan refugee and Young Australian of the Year in 2013. An inspiring day for our St Brigid’s Young Leaders. The Commitment Masses for students receiving the Sacrament of Reconciliation will be held this weekend at all Masses celebrated at Our Lady of Lourdes on Saturday 6th and Sunday 7th April. Thank you for your ongoing support with the Sacramental Program. A number of parents have voiced their concerns regarding parking and the use of the Pick Up and Drop Off Zone near the Junior School. 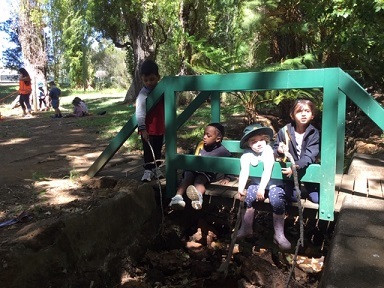 There is ONLY 5 min parking along Glen Road outside the Early Years Centre between the hours of 7:30am–9am and 2:30pm–4pm. Families who park on Glen Road are blocking access to the ‘Drop Off Zone’ therefore creating hazards for other families and banking traffic back along Lesmurdie Road. There is also a 40km per hour speed limit in this area. Your patience and cooperation is needed so the safety of our students is not compromised. 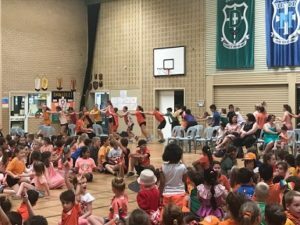 The College Run4Fun Colour Explosion will take place once again this year on Friday 3rd May starting at 2:00pm and we encourage all children to participate. You can create a Student Profile Page at www.myprofilepage.com.au which is unique to your child. The day’s focus will be on fun and fitness with the added benefit of raising funds for the College. Thank you in advance and looking forward to a fantastic day! Next Term, starting in Week 2, students from Kindy to Year 4 will have the opportunity to be part of an energetic dance program at the College. 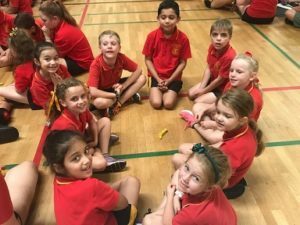 Edu-dance is a creative hip-hop dance program designed to improve students’ levels of fitness, while being encouraged to enjoy the challenge and have heaps of fun! Each class will be involved in a 30min lesson each week, culminating in a final concert that will be held on Wednesday 3rd July. More information will be sent out to families. Enjoy the upcoming term break, have a Happy and Holy Easter, take care and we look forward to seeing all students returning safely on Tuesday 30th April. All students will return to school in their Winter Uniform for Terms 2 & 3 and the Uniform Shop will be open on Monday 29th April from 2pm -5pm.